Inch Hame, meaning Island Home, is on the right of the picture atthe top of the page and has splendid views across Loch Cuin to the hills beyond. 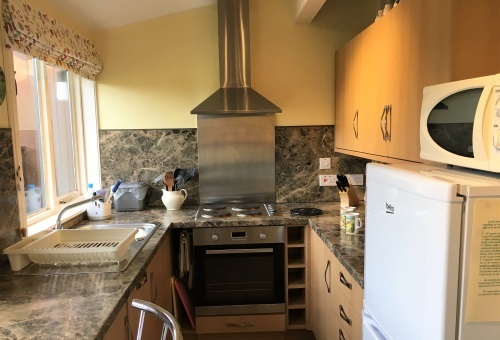 The spacious cottage for 4/5 guests comprises of a large sitting/dining room with sofa bed and 3 comfortable arm chairs, dining table and chairs, a well stocked bookcase and TV & music centre. It has one double bedroom and one twin bedroom. 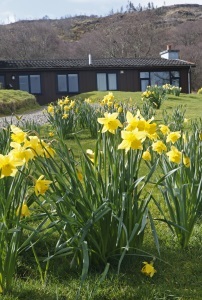 Both rooms have fitted wardrobes and cupboard space and all soft furnishings have been personally chosen. 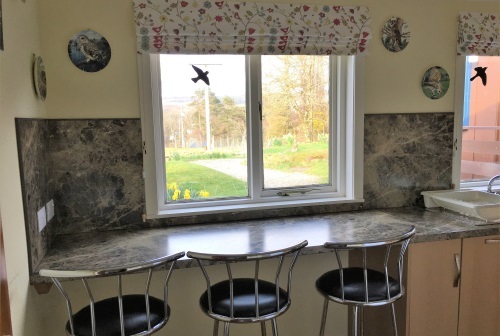 There is a well equipped sizeable kitchen including cooker, fridge/freezer, dishwasher and micro-wave, in our newly refurbished kitchen we have put a breakfast bar in front of one of the windows for you to sit and enjoy the view and the garden birds. The bathroom includes bath with power shower. This year all our beds have brand new Mattresses for your comfort. 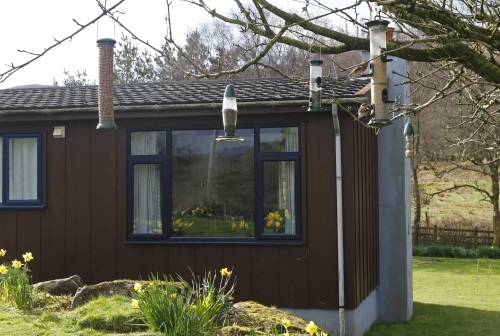 The bird feeders outside your windows are filled daily and there is a picnic table on the lawn outside Inch Hame for your use. 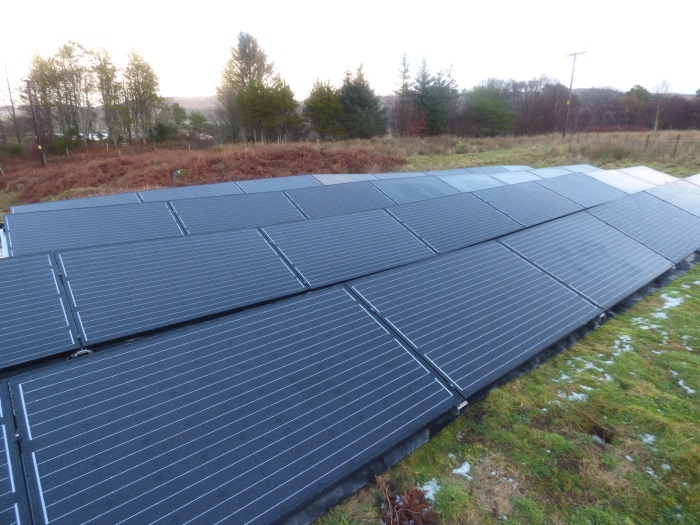 Inch Hame: Tariff £475 per week. We are already full for the Car Rally Oct 2019. Washing machine (on request), cot & high chair are available on request. Bed linen, towels, tea towels, cleaning fluids, electricity and oil fired central heating are all included in the price.